You will then receive an order confirmation by email and the delivery will follow upon avalaibility of the lamps in stock. Your invoice will follow by email after delivery. For public schools and administration, justprojectorlamps allows payment on invoice; please send us by email (info@justprojectorlamps.co.uk) or fax(0800 012 60 33) your purchase order. 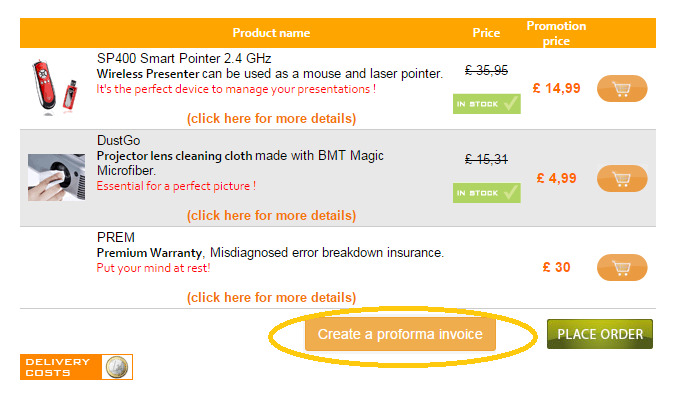 Follow this link to see how you can get a printable quote (or proforma invoice) directly from our website. You can get a printable quote (or proforma invoice) directly from our website. This document has the same format and contains the same information as the final invoice you will receive when actually placing an order. This simple procedure allows you to easily keep a trace of the price for a projector lamp. Please note: Creating a quote (or a proforma invoice) does not mean that you have actually placed an order for a projector lamp. 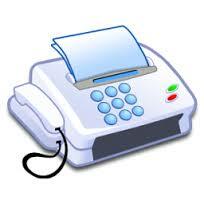 This procedure simply allows you to obtain a binding quote. -	Choose your shipping method -	Choose your payment method -	Confirm the creation of your quote -	To view, download and print your quote (or proforma invoice), Adobe Reader freeware is required.